To meet increasingly strict government requirements regarding CO2emissions, the automotive industry has, for many years, been working to reduce fuel consumption and the climate impact of newly manufactured vehicles by taking various measures to reduce weight. 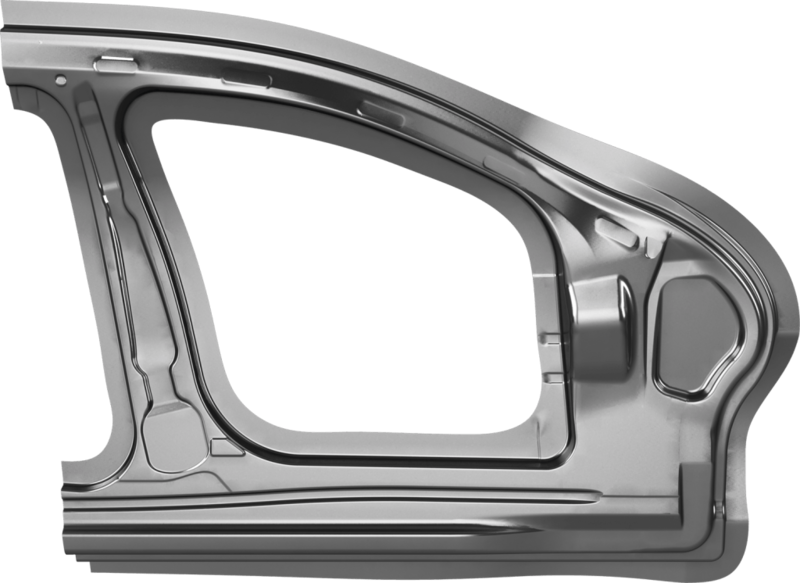 New materials, new design and manufacturing methods have made possible lighter parts and components, resulting in reduced vehicle weight. In this, one of AP&T’s core areas, press hardening of sheet steel, has been of vital importance for the progress made so far. As we continue to improve and refine press hardening technology, we are also investing significant resources in developing production solutions for forming other materials and material combinations. One of the most interesting is high-strength aluminum which is considerably lighter than steel but still associated with higher material costs and has properties that put other demands on forming methods and machinery. 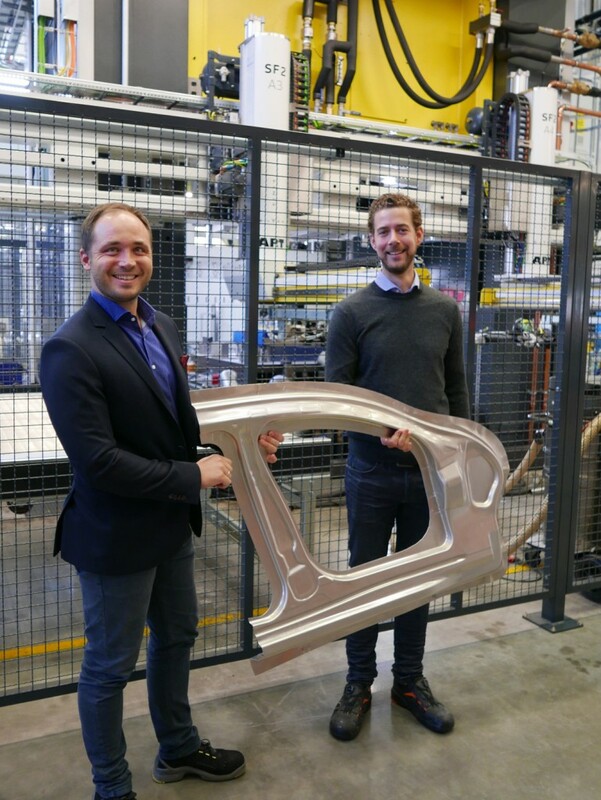 A year later in the autumn of 2017, our first full-scale production line for hot forming of high-strength aluminum – hot forming, w-temper and warm forming – was inaugurated in our Ulricehamn, Sweden test center. The first of its kind in the world, the solution offers entirely newpossibilities for a cost-efficient production process, enhanced manufacturability and increased functionality of lightweight car body components.Thanks to the high strength and low weight of the material, the body weight could potentially be reduced by up to 40 percent by replacing conventional sheet steel with high-strength aluminum which can be made significantly thinner (down-gauging) while retaining its strength. The innovation gained much attention from the global automotive industry and was distinguished with several prestigious awards such as Altair Enlighten Award and SIQ Quality Innovation Award.Today, we have a fully commercial, scalable solution available to OEMs and Tier suppliers who wish to manufacture high-strength, low-weight, complexly designed body part components. AP&T’s unique, high-speed, high-precision and low energy-consuming servo-hydraulic press. With regards to the production input per manufactured part, AP&T’s solution is very competitive compared to the methods available today. Due to the good formability of the material, components that are currently manufactured by joining several different parts, such as car door rings, are manufactured in as a single piece through one hot forming operation. This makes for a rational manufacturing process with fewer operations, simpler handling and logistics, fewer tools, better material utilization and, thereby, lower production costs per unit. To further streamline production, each operation in the process has been analyzed and optimized. One of the challenges was to lower the time for what is referred to as the artificial aging process. AP&T’s Chief Technology Officer, Dr. Christian Koroschetz and Manager Development Forming Processes & Tooling, Dr. Michael Machhammer. Copyright 2019 MMMA | All Rights Reserved.